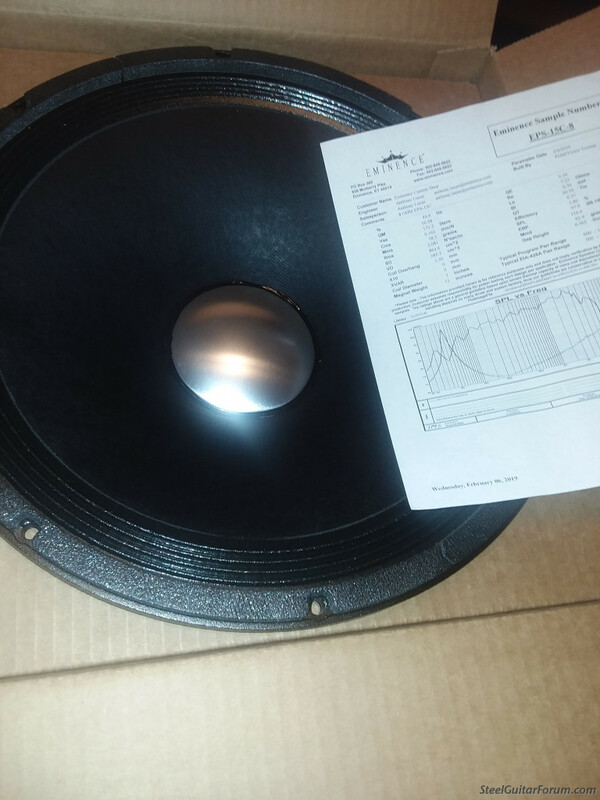 Check with 'Antique Electronic Supply' (Tubes and More), they have "B Stock" Sica 15" speakers in 8-0hm configuration for around $100.00. Good sounding units for pedal steel. 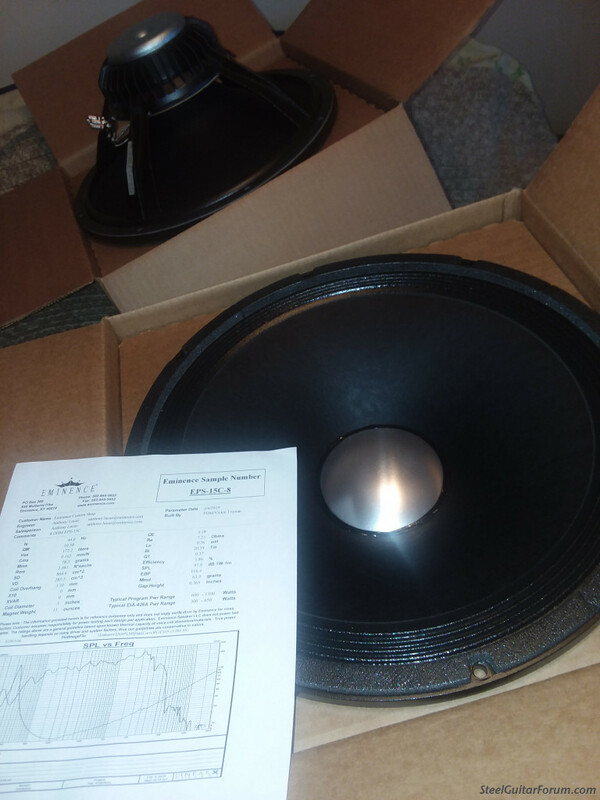 Marty, i ordered 2 EPS-15C from Eminence in an 8 ohm version. The guy there i worked with is Tony Lucas. First let me say they are pricey. I paid $470 for my two. 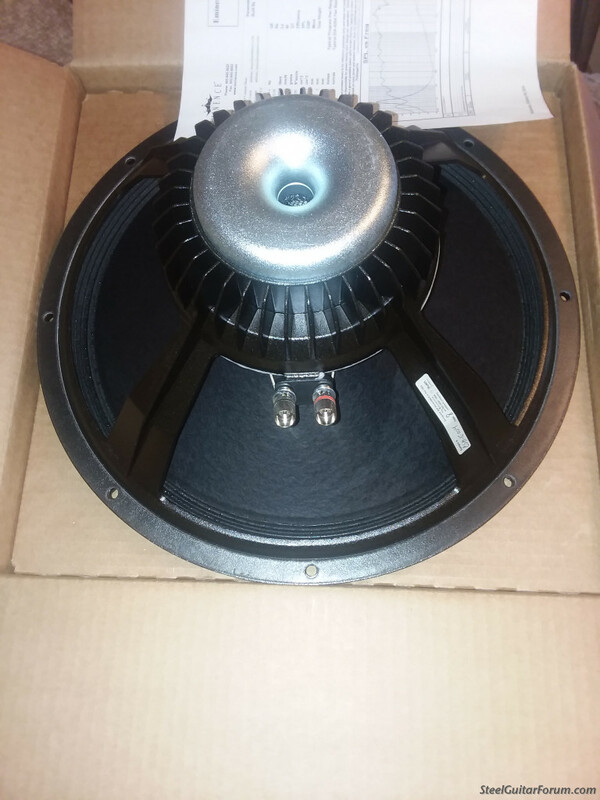 My new Boogie amplifier is designed to only use 8 ohm. Second, it will take awhile. I ordered them just before thanksgiving, and received them in March. So i hope you're not in a hurry. There are extra fees involved as well. I have enclosed a couple of photos. If i can help answer any other questions let me know. And yes they do sound identical to the 4 ohm, as i have both. I love mine. I still have an earlier version that I keep as a spare. The Double T 15 from Eminence is one to look into. Players seem to like the 12" version.